In today’s health conscious world, more and more people are embracing the world’s most natural treasures to keep a strong mind, body and soul. And this goes for hair too; there’s so much chatter about managing a path to healthy hair tresses. Men and women are constantly exploring techniques, trends and products that keep their hair glorious, beautiful and vigorous. Beyond key natural ingredients infused in our ONE collection, what goes unnoticed are the fundamental values of maintaining robust hair — patience, commitment and lifestyle changes. Be open-minded to a healthier diet. You are what you eat — and most have no idea that it’s also reflected in your hair. Hair is made of protein, and having enough protein within your diet is critical for making hair strong and healthy. Choose eggs, almonds and other nuts as options to promote more protein in your body and hair. Deep conditioning is a must. Applying a hair mask at least once a week not only encourages healthy hair strands, but also adds softness and shine. The best thing about it? The ingredients are right in your fridge and pantry! Mix an avocado, some honey, coconut oil, and a egg; apply on your hair for a couple of hours. You’ll see instant results. Avoid stress. A little known fact — stress causes a chemical reaction in your body that negatively impacts your health. These changes are also reflected in your hair, resulting in thinning or breakage. Try exercising, aroma therapy or a massage to reduce your stress levels. And get tons of rest! 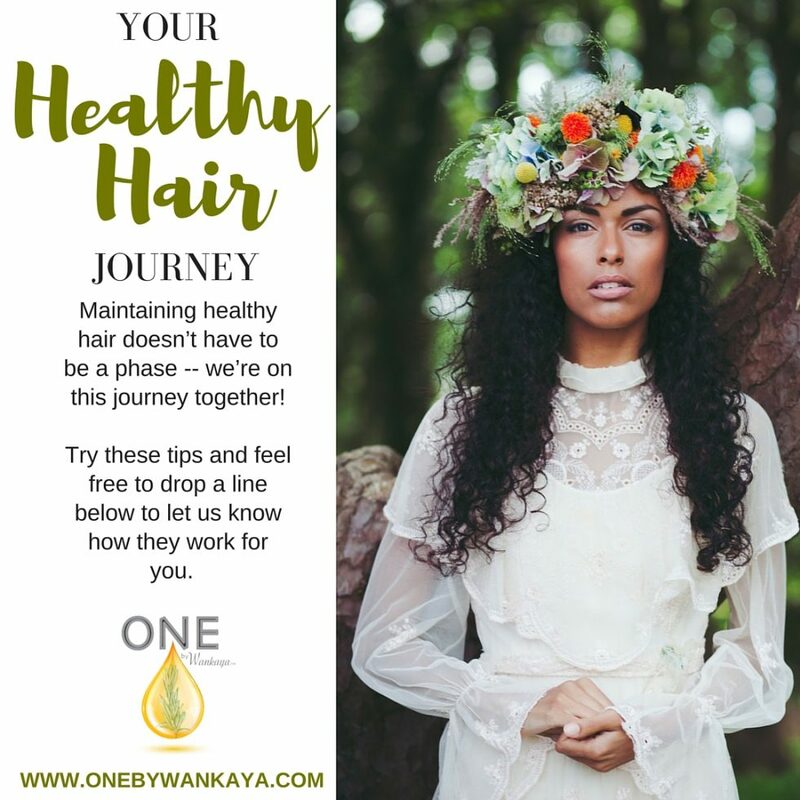 Maintaining healthy hair doesn’t have to be a phase — we’re on this journey together! Try these tips and feel free to drop a line below to let us know how they work for you.